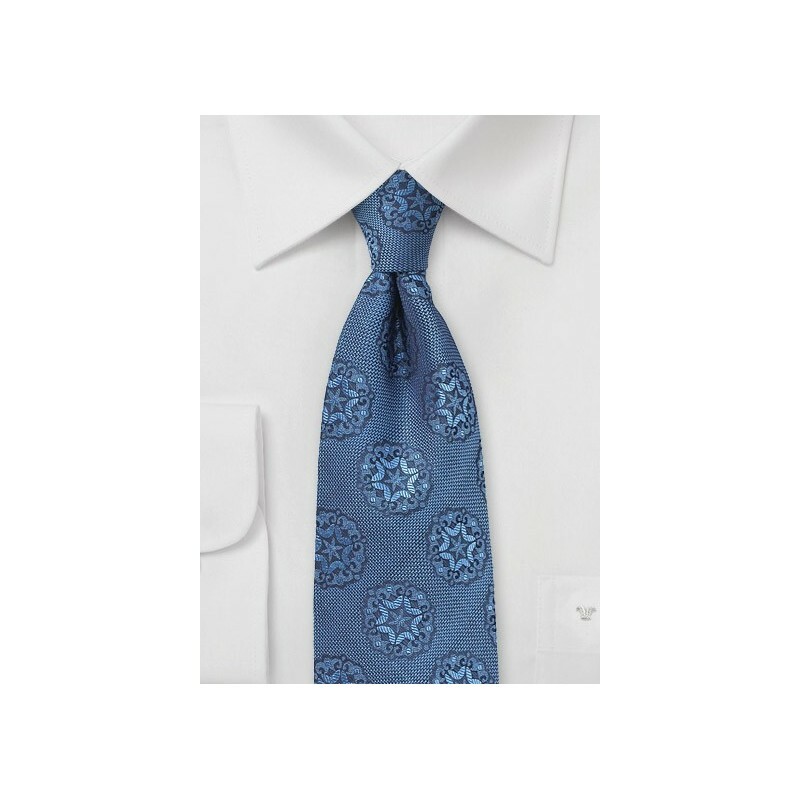 This large scaled medallion print silk tie is part of Chevalier's "Indigo Collection" - an assortment of bold patterned designs in a monochromatic indigo color palette. What makes this tie special is not just the rich blue color and bold design, but even more so how this tie was constructed. 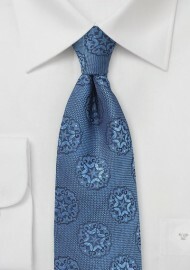 The tie was made from a woven fabric giving the tie a rich textured look and luxurious feel. You will be amazed that this tie didn't cost over $100. Handmade from pure silk. 100% Woven Silk | Length: 58", Width: 3"